Thirty years after Ronald Reagan called the Soviet Union an evil empire, the description is boomeranging on the United States today. This month marks the 30th anniversary of former American president Ronald Reagan’s “Evil Empire” speech before the National Association of Evangelicals in Orlando, Florida. In that infamous speech of brinkmanship on March 8, 1983, the arch-conservative leader said the Soviet Union was “the focus of evil in the modern world” and warned against the “aggressive impulses of an evil empire”. Let’s look at it from the former actor’s point of view. Reagan was elected on a hard-line anti-communist plank. His fervent religiosity made him believe that godless Marxism was truly evil. During his lifetime, Marxism, like any cult or religion, had demonstrated great propensity for evil. It had killed millions in the Soviet Union, China and Cambodia; and disallowed basic human rights such as free speech and enterprise. But Reagan was also hypocritical and two-faced – the America he was pitching as the bulwark of goodness existed only in his narrow mind. In his presidential debate with Jimmy Carter, Reagan talked about an America that existed “when I was young and when this country didn’t even know it had a racial problem”. Reagan’s spin doctors claim that the American president while applying pressure on Russia had wanted all along to establish a strong working relationship with the Soviet leaders but they weren’t willing to do so. But a recent book now reveals that wasn’t the case. In Dear Mr President: Reagan/Gorbachev and the Correspondence that Ended the Cold War, Jason Saltoun-Ebin says Russian presidents Leonid Brezhnev, Yuri Andropov, and then Konstantin Chernenko all wrote Reagan, offering arms control proposals and other measures to build better relations between the two countries. But Reagan just was not interested. In fact, the CIA brought out a report, saying the Soviet Union would end up becoming a net importer of oil in the 1980s. The CIA’s crazy reports kept up American hopes that the Russian empire was on the verge of imploding. At any rate, economic sanctions had little or no impact on the Soviet economy. The Star Wars gambit failed too. Gorbachev told Reagan that all the Soviet Union would need to do to defeat his shield was build more missiles. Much has been said about the Soviet Union’s chronic shortages. Yes, there was sometimes a shortage of oranges. Or red baby doll costumes. Sometimes they ran out of Luzh chronographs. But there was never ever a shortage of food. In fact, the price of a loaf of bread was fixed for several decades at the unbelievable price of 5 kopeks – the lowest value coin in the country. In the stores there were plenty of staples – if not luxuries – and at any rate nearly every Russian home had huge freezers where they stored enough to last months. Any shortages were because of the failings of the centralised distribution system. What about America? It may be hard for many people to believe but it is nevertheless true that hunger is an everyday reality for 50 million people. According to the charity Feeding America, 1 in 6 Americans and one in four children do not get enough to eat every day. “Hunger exists everywhere in America,” it says. Were Reagan alive today, he would have witnessed that the trickle-down economic policies he initiated are responsible for the starving millions in America. America’s current decline started on his watch. The United States Census Bureau has traditionally papered over details that appear overly negative. For instance, it does not calculate a person’s assets and liabilities. Considering the massive debts most Americans are carrying, this would make the poverty rate explode. According to the American Payroll Association’s latest survey, more than two-thirds or 68 percent of Americans are now living paycheque to paycheque – that’s 210 million people stressing over food, utility bills and medication. Income inequality in America is at levels even higher than those in ancient Rome, according to the study, The Size of the Economy and the Distribution of Income in the Roman Empire, by historians Walter Schiedel and Steven Friesen. After analysing papyri ledgers, Biblical passages and imperial edicts, the researchers found the top 1 percent of earners in ancient Rome controlled 16 percent of the society’s wealth. By comparison, the top 1 percent of American earners cornered 40 percent of the country’s wealth. And this will shock you – the six heirs to Walmart, the retail giant, had the same net worth as the bottom 93,000,000 Americans. In this backdrop the cruel irony was crooked New York investment bankers receiving a bailout bounty of $700 billion while the city witnessed the longest lines of soup kitchens in history. 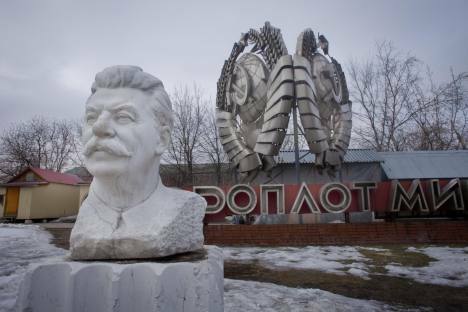 The Soviet Union was no saint but at least it did not pretend to be one. It was Marxism, developed in Britain by a misinformed German, that propelled Soviet expansionism in the post WW II era. Now, there will always be countries like Latvia, Estonia and Georgia that will claim they felt the Russian jackboot on their necks, but they shouldn’t forget that when Moscow retreated from its empire, these countries were not left a barren wasteland – like India was by Britain – but instead remained modern and industrialised nations. The one country that the Soviets really messed up was Afghanistan, but there the United States played no small part in encouraging the invasion. But what the Russians did in Afghanistan pales in comparison with the savage bombing of Southeast Asia during the Vietnam War. At the peak of the war in the late sixties and early seventies, the Americans were killing over 1000 innocent civilians a day. Vietnam, Cambodia and Laos were carpet bombed for months. The poison gas, Agent Orange, was used to denude entire forests in these three countries. And what has been done to Iraq and Afghanistan is truly nightmarish. Iraq has been stripped of its dignity while in Afghanistan the Americans are pretending to fight the Taliban in hopes of striking a deal with the fundamentalists and are prepared to sacrifice the secular and democratic Afghans. Hundreds of thousands have died and millions displaced in these two wars. The Afghanistan war is also America’s longest war. Now you decide which country better deserves the Evil Empire epithet.